Beginning April 2, 2012, 9 Town Transit will offer expanded bus schedules on two rapidly growing bus routes. The new schedules will improve access and connections to neighboring transit systems. Almost three years after launching service between Old Saybrook and Middletown, ridership growth of over 30% each year has demonstrated a need for additional hours of service. The current schedule offers morning and evening service with a four hour mid-day gap. Increasing usage by Middlesex Community College students and people visiting state offices in Middletown have created a need to fill this gap. Service will now be offered every two hours from 6:20 AM until about 7:20 PM. 9 Town Transit has also seen tremendous growth in its bus service between Old Saybrook and New London. The service, which saw ridership growth of 70% in 2011, currently runs from 7:00 AM until 5:00 PM. With a ridership of primarily commuters, the service ends too early for many to return home using the bus route. An additional trip will be added to leave Old Saybrook at 5:00 PM and return from New London at 6:00 PM. 9 Town Transit provides service to all parts of Chester, Clinton, Deep River, Essex, Killingworth, Lyme, Old Lyme, Old Saybrook, and Westbrook, and all services are open to the general public. 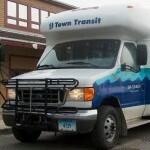 Additional information, route maps and schedules are available online at www.9towntransit.com or by calling 9 Town Transit at 860-510-0429.